A view of Thamesmead from the top of Maplin House. 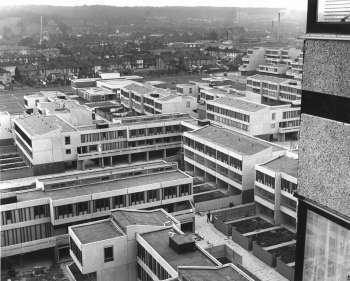 Thamesmead was in many ways a classic example of the 'social engineering' with which post war planners and architects were preoccupied, in an attempt to create mixed develop-ment schemes which would integrate social classes and age groups. 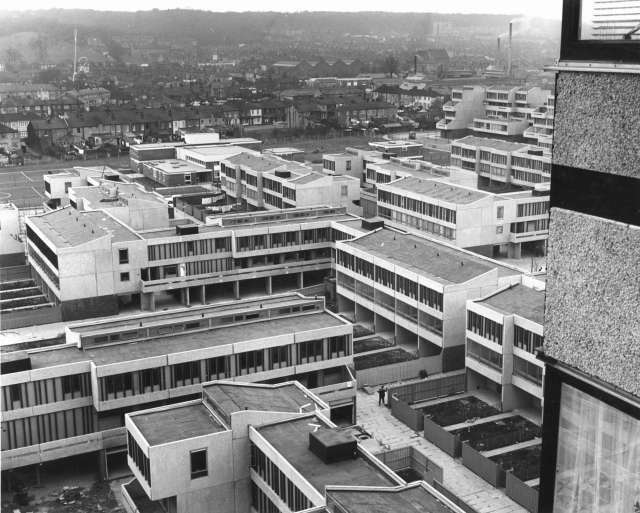 The planners optimistically believed that they could create a balanced community by incorporating a variety of dwelling types - flats, maisonettes and houses - of different sizes and with different tenure, a reaction against the monotonous, single-class council housing estates which characterised the inter-war developments.